23 July 2016 Lite_Agent	0 Comments LEGO Dimensions, SEGA, Sonic Forces, Sonic Team, TT Games, Warner Bros. Yesterday, during the Sonic the Hedgehogh 25th Anniversary Party, SEGA revealed not one, but two new Sonic The Hedgehog games. Unfortunately, only one of them is coming to a Nintendo platform, and it’s Project Sonic 2017. Very little is known about the game, other than it’s a 3D Sonic game, featuring both moder and classic Sonic, and that it’s the Sonic Team that’s working on it. Here’s the first trailer for Project Sonic 2017, which is not coming not to the Wii U or the Nintendo 3DS… but the mysterious NX platform! Project Sonic 2017 will be released next year, near the holiday period. Our Upcoming Releases page has been updated with this new game! 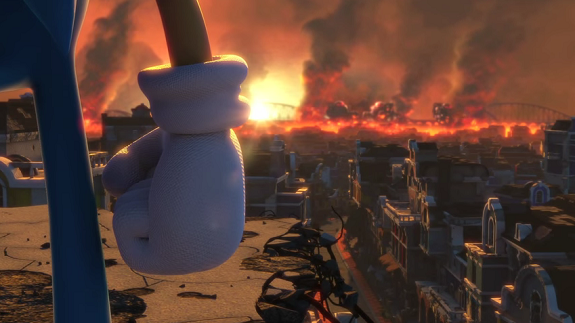 And now, here’s the trailer for Sonic in LEGO Dimensions. It showcases Sonic itself, but also the actual figures, and the levels/gameplay to be found in the game.